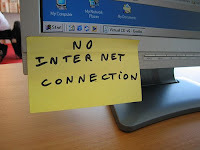 It's almost a week that our office internet connection is not doing well. Sometimes we got connected but sad to say that it was at a snail's pace. So blessed that I was able to grab some opps last night but it was too bad that there was no connection this morning. I have some opps to accomplish before 1PM. Oh my! What I did, I had my lunch before 12PM so that I can have a lunch break at the cafe in order for me to submit my assignment. LOL! But still I was so happy I was able to make it and besides our office connection was back already.